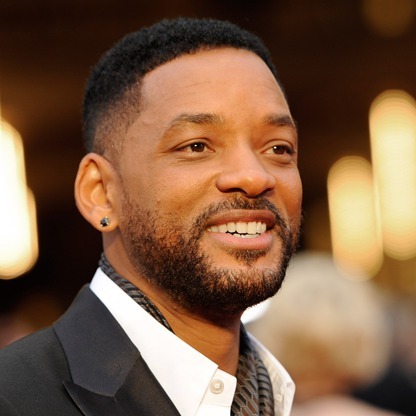 Will Smith stars in the new movie Concussion. The film focuses on Dr. Bennet Omalu, a Nigerian-born physician who first discovered the disease chronic traumatic encephalopathy (CTE) in football players and wrestlers. Dr. Omalu discovered the disease while performing Steeler legend Mike Webster’s autopsy in 2002. The new discovery tied Webster’s mental problems and premature death at age 50 to repetitive head trauma suffered playing football. Dr. Omalu found similar patterns in the brains of Terry Long, who committed suicide at age 45, and Andre Waters, who committed suicide at age 44. With the new movie coming out, I thought it important to repost an earlier piece regarding my talks with former NFL players about brain injuries. I’ve posted the article below the movie’s trailer. The Game before the Money: Voices of the Men Who Built the NFL introduced me to dozens of former NFL players. Many interviewed for the book, and I became acquainted with several others. Knowing that, people often ask me about concussions and the potential consequences of playing in the NFL. As stated in the book’s Afterword, the seriousness of some situations is quite real. Much of the book covers players’ golden moments, so I’m not claiming to be an expert. I have no medical experience, and I’m in no position to make claims or suggest solutions. My objective here is to discuss what I’ve personally seen and heard, and to inform readers about a couple of websites retired players frequent for information. This post isn’t meant to induce controversy. Creekmur, a Pro Football Hall of Fame inductee, was posthumously diagnosed with chronic traumatic encephalopathy (CTE) by the Boston University School of Medicine. CTE is a degenerative brain disease linked to repeated head trauma. Pittsburgh Steeler Mike Webster was the first player diagnosed with the illness. Other NFL legends diagnosed with the disease includeOllie Matson, Cookie Gilchrist, and Wally Hilgenberg. More recently, ESPN reported that Jovan Belcher, the Kansas City Chief who shot his girlfriend and himself in 2013, showed signs of CTE on his autopsy report. PBS’ Frontline noted that 80% of deceased high school, college, and professional football players who underwent posthumous brain examinations for a particular study tested positive for CTE. I will keep names confidential because of privacy reasons and HIPAA law, but such problems were evident in a few players I engaged with along the way. I telephoned one player, hoping for an interview. His wife told me he didn’t remember playing. One player I spoke with briefly remembered playing, but couldn’t recall certain historic games he played in. A third I’ve become acquainted with often needs to be reminded of what we are discussing in the middle of a conversation. In attempting to contact another very well-known player, I heard that he had difficulty remembering how to open a car door. I decided to forgo contacting him. Lacking knowledge, players commonly took the field with concussions. Elvin, Walt Garrison, Conrad Dobler, and Sonny Jurgensen are a few of the players who describe their experience playing with concussions in The Game before the Money. A concussion isn’t like a torn ACL, where physical complications are immediately obvious, and potential costs of playing are clear. Brain injuries, to this day, are subtle and often not well understood. Helmets create the only line of defense against head injuries. Plastic helmets, when first introduced, weren’t effective. Hall of Famer Charley Trippi notes in the book: “Ball players were getting concussions, and they had to make improvements in the original plastic helmets.” Indeed, the NFL temporarily banned plastic helmets in 1948. Below are helmets Elvin Bethea wore (one is also pictured above this article). Walt Garrison showed me a few of his helmets as well. From these helmets, one could surmise that there were numerous variations of protective headgear. Note that Elvin’s helmet on the left is supported with cloth straps, the one on the right is padded with hard foam and rubber. One of Walt’s contains compartments to be filled with water. Many of you might remember Mark Kelso’s enormous helmet he wore with the Buffalo Bills in the 1980s. Several players tagged the helmet’s facemask a brain-injury culprit. Sonny Jurgensen noted, “(The facemask originally) was there for protection, for your mouth and nose. It’s changed into a cage on the helmet. Unfortunately it’s turned into a weapon, and the cage becoming a weapon has facilitated concussions.” A number of players I spoke with alluded to removing facemasks as a potential step toward solutions. While I did encounter players experiencing extreme mental difficulties, most players seemed to possess normal mental faculties for men their age. Many seemed to exceed it. They happily recounted great game moments and highlights from their life and career. Clearly, however, current research suggests that NFL players are at much greater risk for dementia and other brain diseases than the general population. I learned of two player-owned websites providing information to former NFL players. There are likely others, but former Raider Dave Pear’s blog (www.DavePear.com) and former Colt Bruce Laird’s site (www.FourthAndGoalUnites.org) are two which convey information from retired players to retired players. These sites contain several comment threads between players you might remember. I found it very interesting reading these discussions in regards to brain injuries, the current lawsuits, and other retired player concerns. Experience pro football history through the eyes of NFL legends. Read The Game before the Money.